I guess everyone has those artists that you ‘meet’ and witness, that stay with you forever and ever. For some it is Kirby, Buscema, Byrne or Corben. For others it is Gonzalez, Leloup, Vandersteen, Bolton or Yann. To each their own. 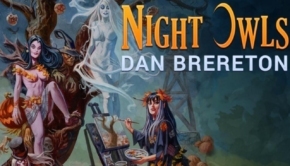 I have my personal list, which I will not divulge here (there is a list on C4S available though) and Dan Brereton is high on that list. It is one of those artists that made me look twice, three or even four times. His work-for-hire work is excellent and although I buy less (almost zilch really) from the Big Two, I do urge you to check out Thrillkiller or JLA: Seven Caskets from DC. But his work on Nocturnals. 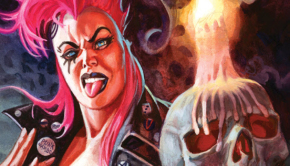 That creator-owned work is what sets him apart as a real comic-legend, I think. His characters are alive and human, even though they all look like monsters. Their traits are commonplace and flawed, or the traits we as parents for instance would like to be able to possess to impress our kids with or just to be able to cope the regular hardships of life with. 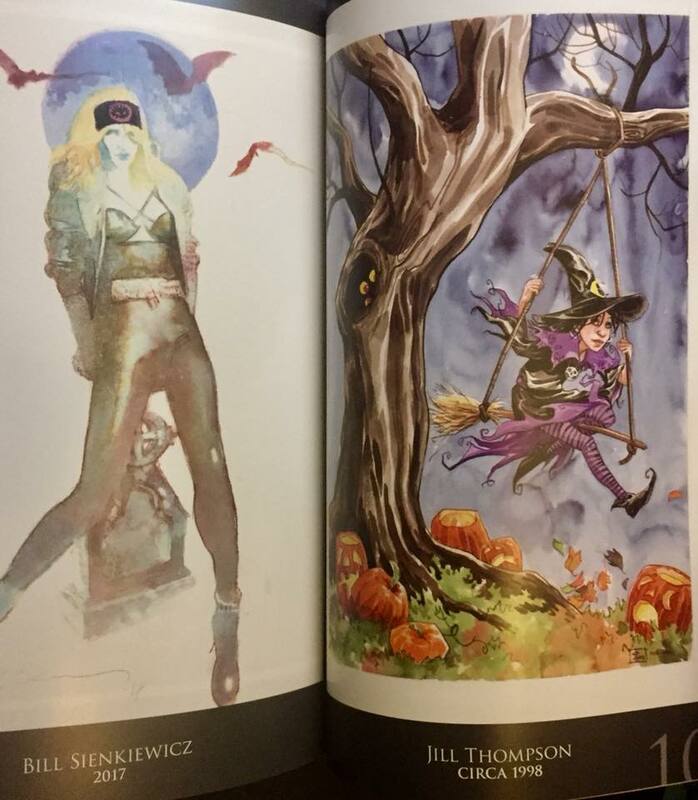 This artbook surprised me as the two (yes TWO!!) 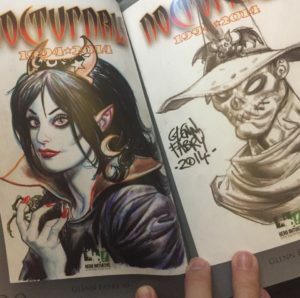 stories that are within the cover and the back, are [a] written but not drawn by Dan Brereton and [b] both hit me with the same impact as the first pages of Nocturnals I ever had the pleasure of encountering. 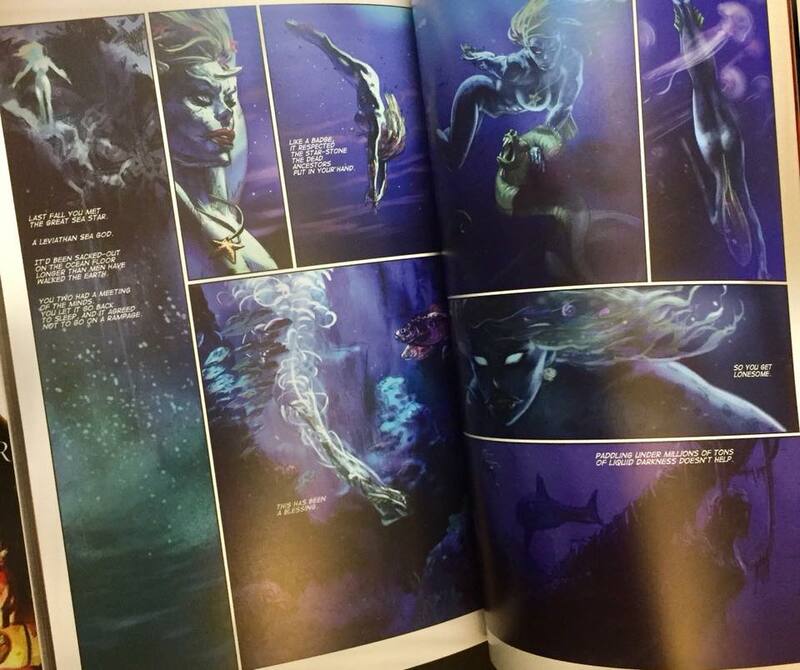 Sure the artbook itself is nice and artsy, so to speak. 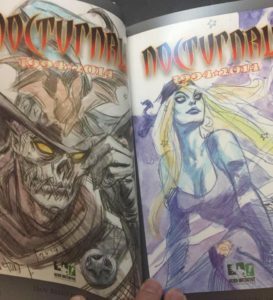 Lot of amazing art, rare art, from sketches to complete works by Bill Sienkiewicz and Arthur Adams that should really be turned into variant covers, because they are too amazing to not use as such. 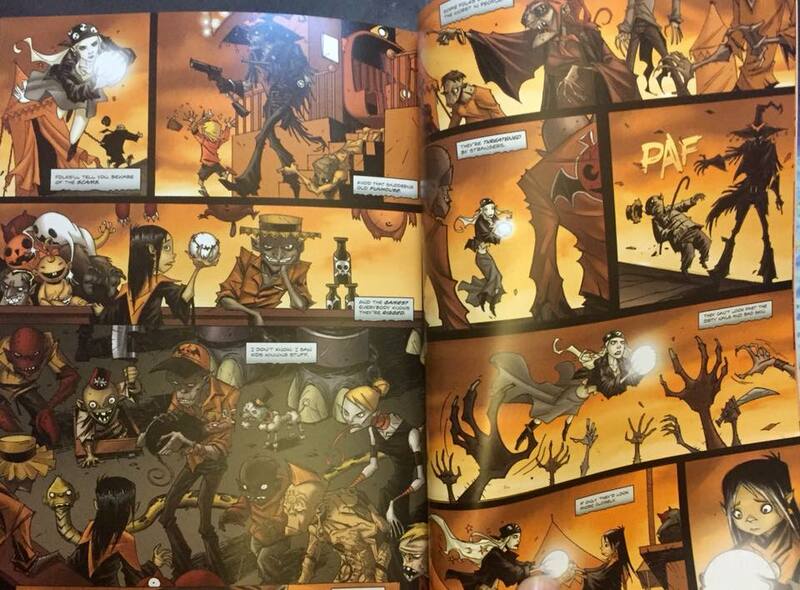 Previews shown below are one illustrated by Viktor Kalvachev and another story with art by Ruben Martinez and color by Viet Nguyen. 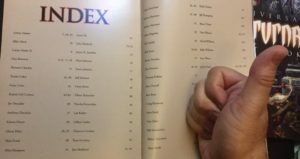 When I go back in time in my mind, well… my wife would deem that impossible using my ever-diminishing memory skills, which makes reading a book very entertaining because I would only need a few books and just keep rereading them over and over again. Yes it sometimes feels like that. 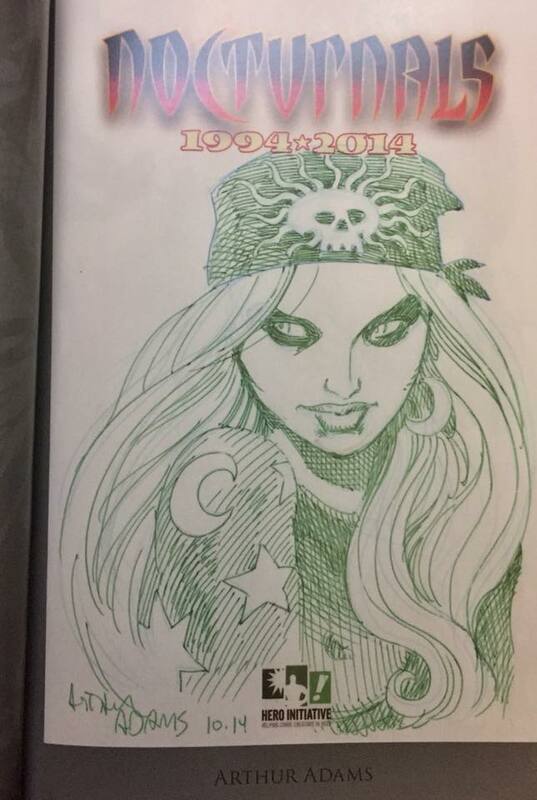 Anyway, when I do remember those instances I met an artist that made me just drool, it stays with me. Such is the case with Mike Turner, Basaldua, Leloup, Guarnido, Gouveia, David Mack, Anacleto, Balent and yes, Daniel Brereton. When you read the “Crown” story, you feel the sadness and loneliness of Starfish but also her inner strength and the love for Eve, whose honesty and life-force will warm each heart. The art by Kalvachev is uncanny and feels like it is infused directly to the character, making the bond of teamwork (writer and artist) even more magical. When you read the “Carnival” story, you feel the comradery to overcome fear and to battle demons, both real and imagined. The art by Ruben Martinez (extra kudos to the coloring) makes this story so much more then I could imagine and I had to read it three times even! One time I was confused because I read the sequentials together with the wordballoons, but then decided it was better to read it a second time without and then a third time with the wordballoons. 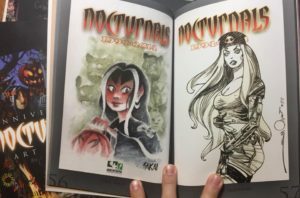 The wordballoons add to the story, but the real story is the art! Impressive feat! 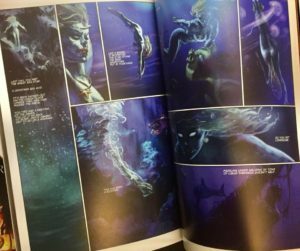 Although I do love Dan’s writing on titles like Red Sonja and Vampirella, his work on his personal monster-team book is unparalleled. To now see a solo-story hit me with the same impact is just something I could not see coming. I can only say “THANK YOU, DAN”. 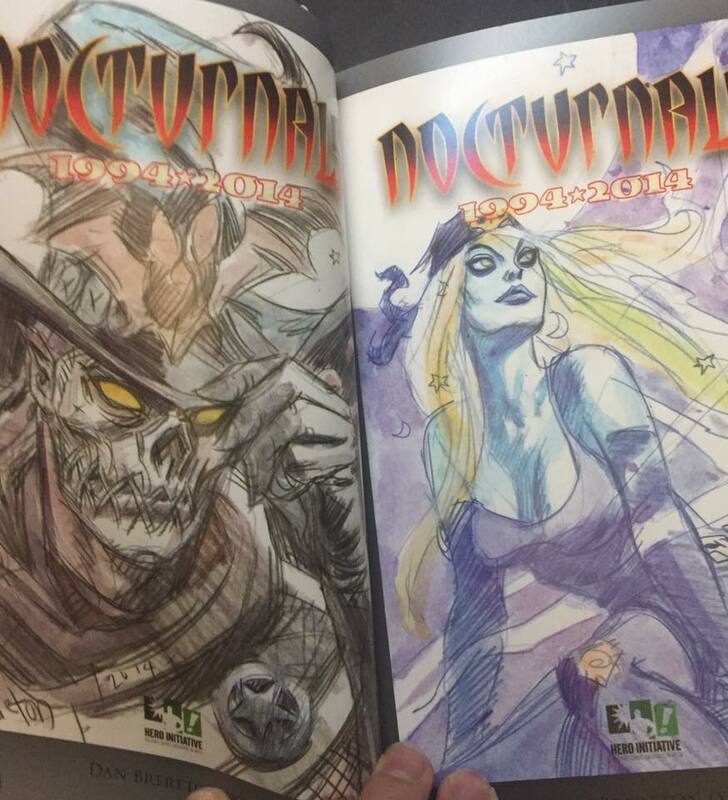 You are one of those folks that make the real magic in comics. 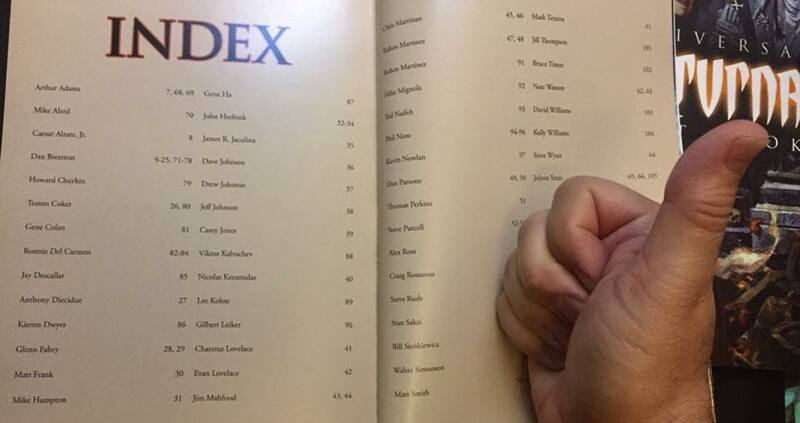 Thank you for putting so much of yourself in these pages and for daring to seek an audience. Via Diamond Previews and under the Hero Initiative section you were able to order (or re-order if you missed it) the Nocturnals Anniversary Art Book. 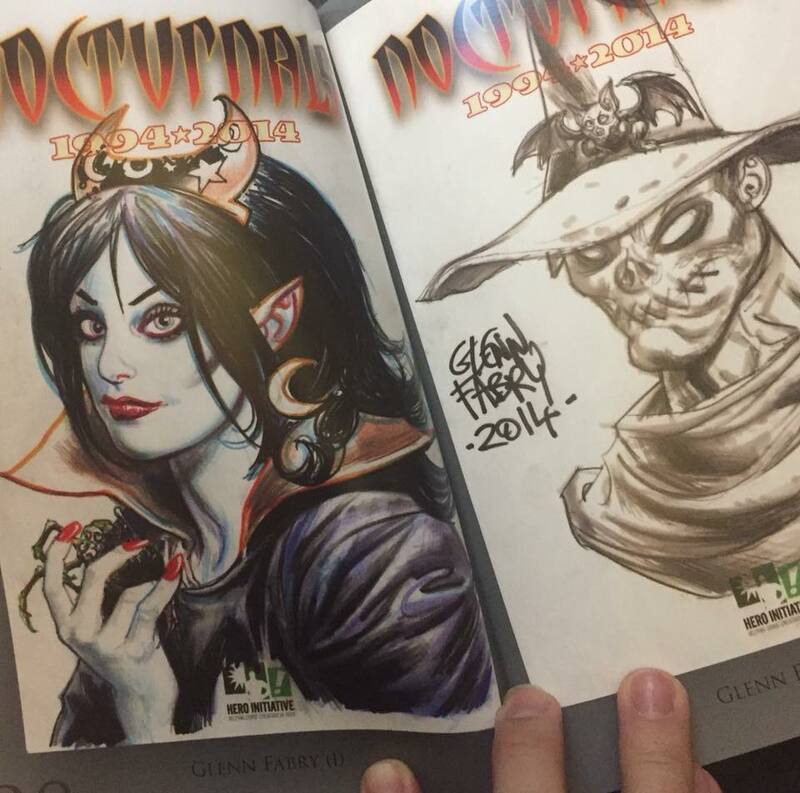 Incredible rarities of Dan Brereton’s Nocturnals are showcased in this amazing book benefiting Hero Initiative! 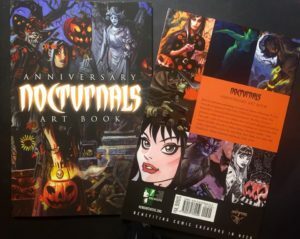 Hero commissioned 50 top artists including Arthur Adams, Glenn Fabry, Stan Sakai, Bill Sienkiewicz, Mark Texeira, and more to create new Nocturnals art for this book, and amazing rarities from the past including Mike Allred, Mike Mignola, and Bruce Timm are also included! 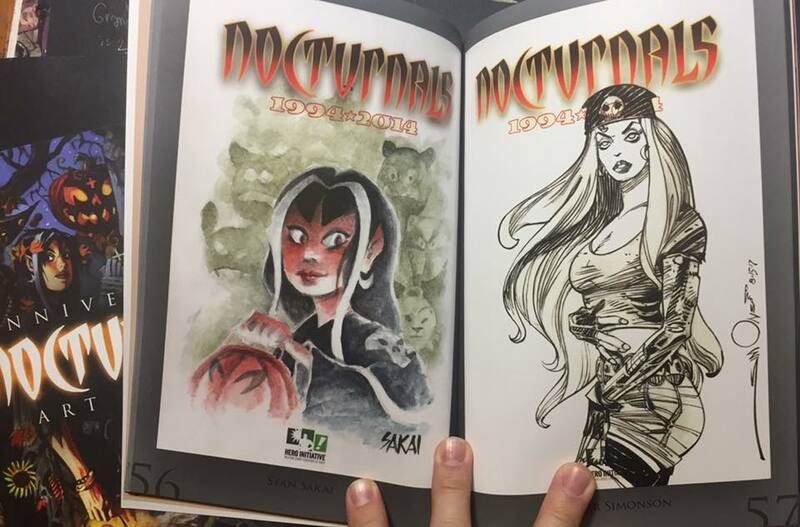 In addition, two amazingly rare Nocturnals stories previously available only in one-shots and never reprinted are presented here. 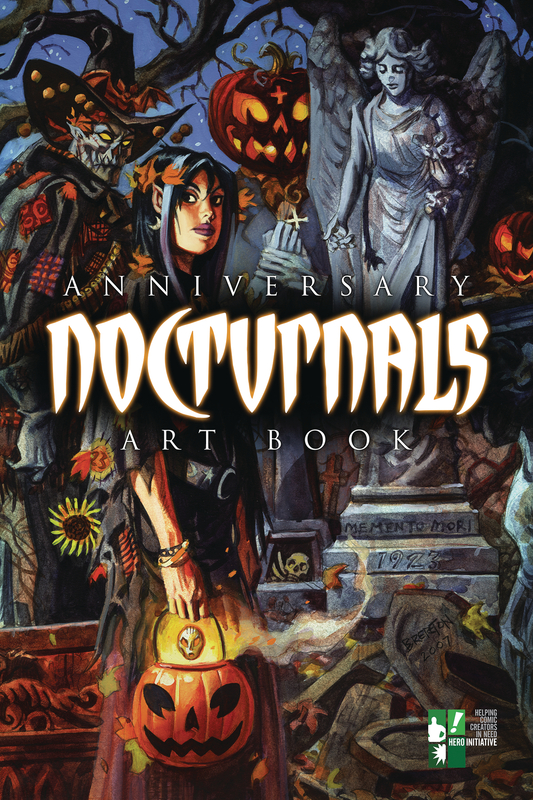 This book is a must for Nocturnals fans and art fans of all stripes! 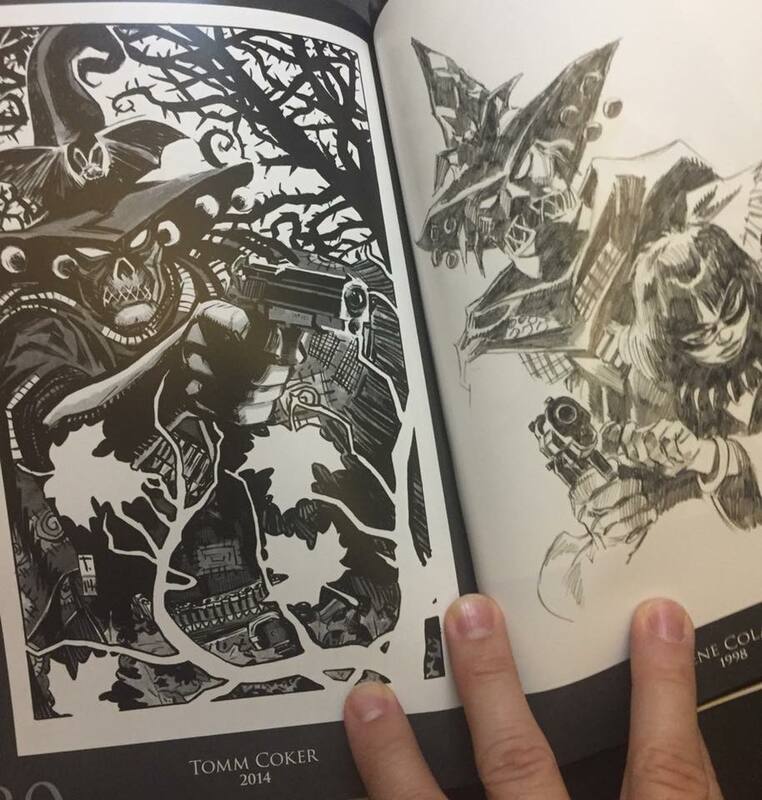 Advance copies arrived today from the binder – my heartfelt and thanks to all my talented and generous colleagues for contributing the art appearing inside – and a special thanks to HERO INITIATIVE’s Jim McLauchlin, the dynamo behind the engine of Good Folks who make the charity function; and to friend (and recent Bram Stoker Award -winner) Christopher Golden for taking time to write the introduction. 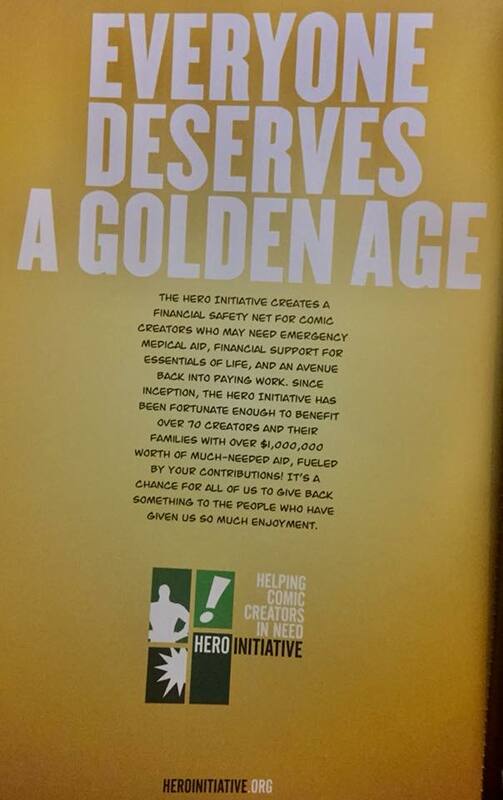 My hope is this book will entertain and raise funds to help Comics Creators in need. 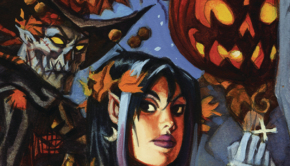 Enjoy this preview – and please ask your friendly neighborhood Comic Shop to keep copies on hand ! 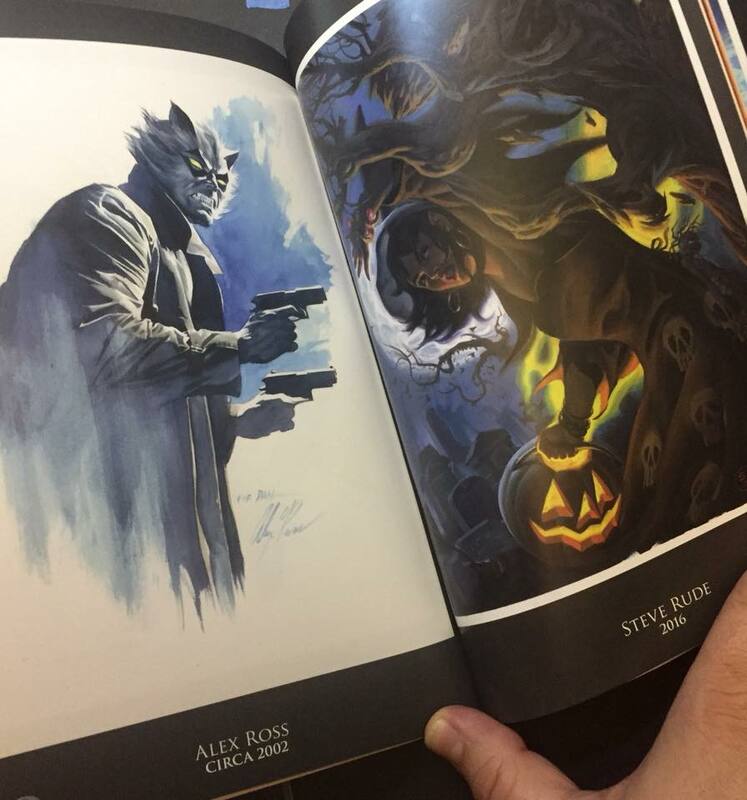 Featured on the back cover ( and inside ) : Gene Ha, Steve Rude, Bruce Timm. Casey Jones, and Nate Watson. Interior pinup previews shown are by Stan Sakai, Walter Simonson, Arthur Adams, Glenn Fabry, Timm Coker , Gene Colan, Alex Ross, Bill Sienkiewicz, Jill Thompson. 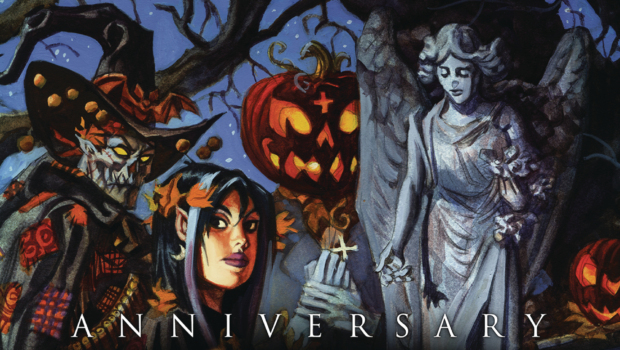 Published June 2018 by Hero Initiative, a collection of tributes and stories celebrating the Nocturnals !